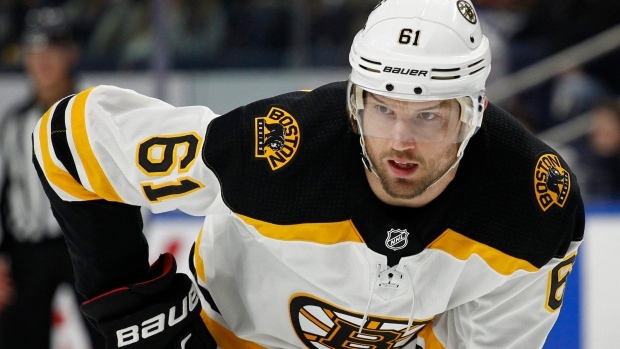 Rick Nash’s agent Joe Resnick said Tuesday his client is not ready to retire and continues to weigh his playing future. A report surfaced Tuesday morning on Twitter that Nash would file his retirement papers later in the day, but Resnick told TSN Hockey Insider Darren Dreger there is no truth to it. Nash became a free agent on July 1 but elected against signing with a team - despite heavy interest - as he was unsure on continuing his playing career. The 34-year-old scored 21 goals and tallied 13 assists over 71 games with the New York Rangers and Boston Bruins last season. The Bruins acquired Nash from the Rangers at the trade deadline in February for Ryan Spooner, Matt Beleskey, Ryan Lindgren, a 2018 first-round pick and a 2019 seventh-round pick. Nash, however, sustained a concussion shortly after the trade and appeared in only 11 regular season games. He scored three goals and added two assists in 12 playoff games for the Bruins. "It was disappointing with having the concussion and having some effects during it and only playing a certain amount of games and then coming back for the playoffs," Nash when the Bruins were eliminated from the postseason. "But everything was positive. The organization was great, the guys were awesome, so it was a great chapter here and hopefully it can continue." The Brampton, Ont., native was drafted first-overall by Columbus in 2002 and spent nine seasons with the organization. He is the franchise's all-time leader in goals (289), assists (258), points (547) and games played (674). Nash, a two-time Olympic gold medallist with Team Canada, has 437 goals and 805 points in his 1,060 career games. The six-time All-Star was a co-winner of the 2003-04 Rocket Richard Trophy in his sophomore season.